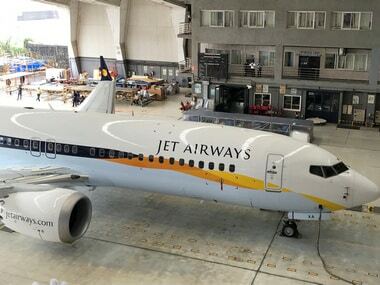 "The cargo agent seized Boeing 777-300 ER (VT-JEW) of Jet Airways at the Amsterdam airport as the airline could not clear his dues," the airline source told PTI on Wednesday. The airline has grounded more than three-fourths of its fleet due to non-payment of lessors' rentals and is operating just about 25 planes out of its 123 earlier. Due to cash crunch, the airline has been paying only part salaries to its over 16,000 employees which forced a section of its pilots on Tuesday sending a legal notice to the management which is currently being headed by the lenders led by State Bank of India (SBI). The airline has confirmed the cancellation of the said flight attributing to "operational reasons". In a statement, Jet Airways said flight 9W 231 from Amsterdam to Mumbai scheduled for 10 April, has been delayed due to operational reasons. The aircraft had flown to Amsterdam from Mumbai on Tuesday and was scheduled to return on Thursday, the source added. 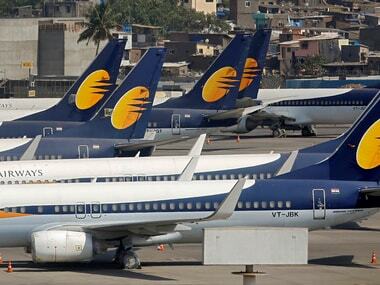 On Tuesday, Jet Airways massively reduced its operations from its main hub Mumbai to just about 32 flights, said a PTI report quoting an airline source. Amid acute financial crunch, which has also forced it to delay salaries to employees and payments to banks, aircraft lessors and vendors, Jet Airways is struggling to remain afloat. "Jet Airways on Tuesday operated only 22 planes, bringing down daily operations to 32 flights from Mumbai, the main hub. This included 16 arrivals and departures each," the source said, adding the airline didn't operate the remaining four aircraft. According to him, of the 22 planes it operated, 16 were on the domestic routes and the rest were deployed in the international routes. Jet Airways could not be reached for comment. Civil aviation secretary Pradeep Singh Kharola said had on 4 April said that Jet Airways was flying only 26 aircraft". Meanwhile, the crisis-hit airline's founder Naresh Goyal expressed willingness to pledge rest of his shares to the lenders on condition that they release the promised interim fund of Rs 1,500 crore without delay, said a media report. Pledging of Goyal’s remaining shares is critical to the plan by the banks' consortium to sell majority stake in the cash-strapped airline to a new investor. At the same time, interim funds are equally critical for Jet Airways keeping in view the various problems the airline is facing, said the report.